The Carlisle Coyote, in partnership with the Middlesex Township, have completed the 18 hole Coyote Hills Disc Golf Course (HILLS) at the beautiful 127 acre Township Park located at 50 Beagle Club Road. The HILLS feature 18 Innova DISCather Pro Targets (baskets), concrete tee pads, tee signs, an information kiosk, and 3 new bridges to keep you out of the Spring Run. With the completion of the Hills, the Park’s trail system has been expanded to over 5 miles. Disc golf is played with a Disc (Frisbee is the old school name). 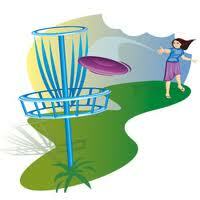 The goal of the game is to throw your Disc from Tee Pad to Target. You complete the Hole when you Disc rest in the Basket. The rules of Disc Golf are similar to Ball Golf. Disc Golf is a “GREEN” sport with low environmental impact and higher utilization of the park resources for a more vibrant park. Picking up the games easy and inexpensive. The Carlisle Coyotes will help you learn. The Carlisle Coyotes designed the Course, and the Township worked with the Coyotes in building it. The COYOTES give great thanks to all of those who have contributed to the success of creating Coyote Hills DGC.